Michael Dooney is a lighting designer, consultant, educator, photographer and gallery director. He lives and works in Berlin, Germany. He holds an MA in Architectural Lighting Design and is a design member of the Illuminating Engineering Society IES and Berufsverband Bildender Künstler Berlins E.V. (As- sociation of Visual Artists Berlin). At the core of his overall practice is a holistic methodology and approach, which encompasses light in all of its facets. He is particularly interested in how light influences our perception of space, how materials are revealed, the way people behave and the overall atmosphere within an environment. Having a technical background in draughting and electrical design, his creative pursuits within music and the visual arts led him to a professional career as a lighting designer. After working for ten years at the same electrical consultancy in Perth, Australia; Michael relocated to Germany in order to study lighting. The combined experiences of living as an Australian in Europe, together with his varied professional & creative pursuits, inspired Michael to establish Jarvis Dooney Gallery; a platform dedicated to the promotion of Australian & New Zealand contemporary photography, as well as a point of cultural exchange between his two homes. 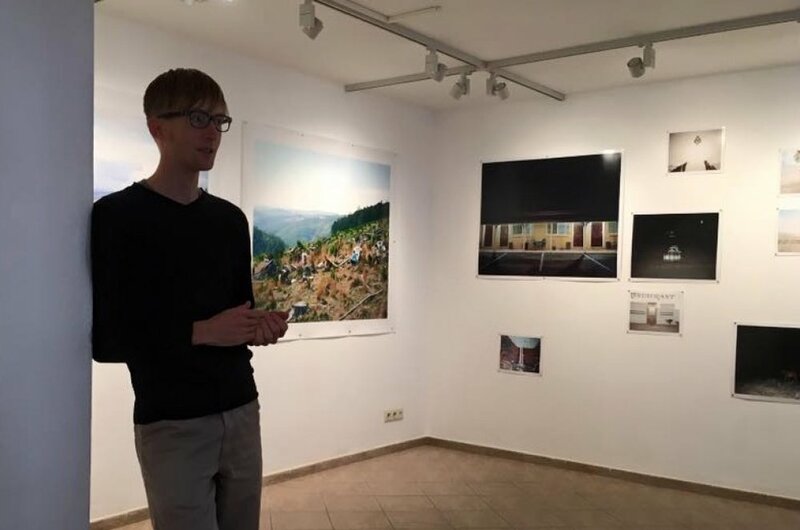 In addition, Michael lectures about gallery and exhibition lighting through NODE Center for Curatorial Studies. Michael has been a part of PICTURE BERLIN since Fall Session 2015.